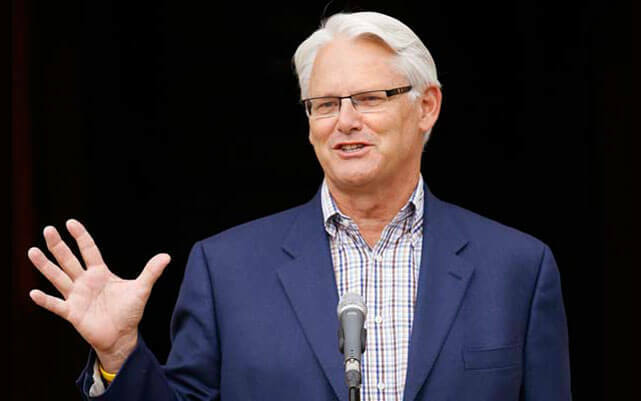 Gordon Campbell has packed a lot of public service into his professional life. Thirty-fifth Mayor of Vancouver for seven years. Thirty-fourth Premier of British Columbia for 10 years. At 67, he has never lost a personal election – even the one that happened right after he slapped the biggest tax on carbon the western hemisphere has so far seen. Today, B.C.’s carbon tax has become a case study to the world for how to unlock the power of markets to deliver outcomes that are better for the environment and the economy. For his courage and clarity on this file, Gordon Campbell is the recipient of the 2015 CK Award of Distinction. 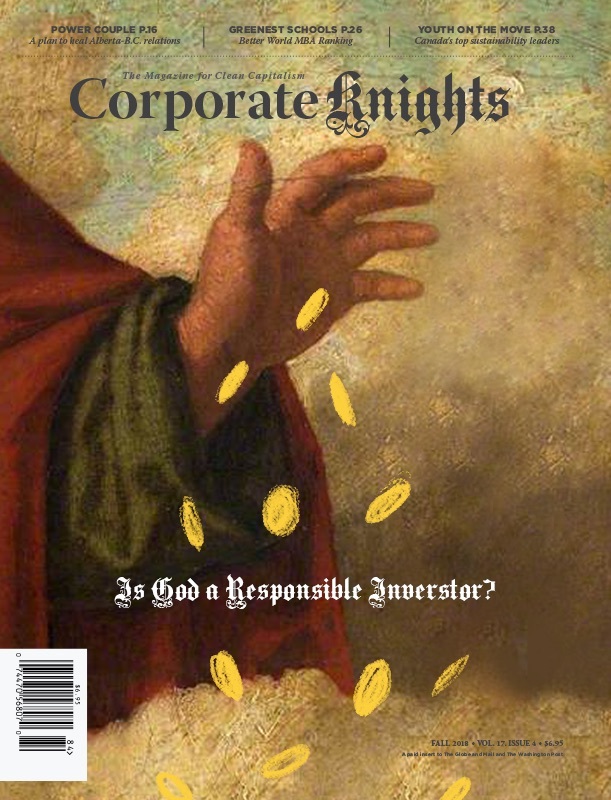 Corporate Knights recently caught up with the Canadian High Commissioner to the United Kingdom of Great Britain and Northern Ireland. Below is an edited excerpt of that interview. CK: What was the inspiration for the B.C. carbon tax? Campbell: In British Columbia, we felt some of the effects of climate change directly, such as the pine beetle epidemic. We felt it was important to take a leadership role on climate change, but to do it in a way that did not create a series of good guys and bad guys. Some people think business people aren’t supposed to care about the environment. That’s not true. They do – they care about it significantly. Too often we decide that we need to be for the environment or for the economy, but that you can’t be for both. Well, we found a way to be for the economy and for the environment at the same time. Campbell: It was the fall of 2006. I went on a mission to Asia and saw the impact of thousands and thousands of individual decisions that can be both negative and positive. I had a conversation with [then California] Governor Schwarzenegger. And I was reacting to a book that I had read on dealing with climate change that seemed to miss the point, suggesting that climate change was about what other people could do. I thought the key to doing this is not to say what others should do, but what do you do, and then use yourself as an example, both individually and institutionally, to see what can happen. So all of those things came together as we were having a big discussion in cabinet about what we could do about climate change. CK: What was the most surprising obstacle that you had to overcome? Campbell: World oil prices reached their peak on July 1, 2008, which happened to be the same date the revenue-neutral carbon tax was introduced, so people tended to blame the carbon tax for gas prices that were through the roof. CK: Is putting a price on carbon a political liability in Canada? Campbell: The way that the revenue-neutral carbon tax worked was positive for us. I was still the premier when we ran and won in 2009 after the carbon tax. People who had been involved in environmental causes that probably had no intention of voting for our government before realized that if they didn’t support this kind of important long-term policy, then it would never be done again. And so they did support it. CK: Why do you think it didn’t work out so well for Stéphane Dion in the 2008 federal election? Campbell: One of the problems is that carbon tax wasn’t revenue neutral. It was about income redistribution. It was about a whole series of things that he was trying to do. It was a revenue generator, and frankly, people don’t feel like they’re taxed too low. CK: The Economist has called the B.C carbon tax “a winner” that “woos skeptics.” What were the key ingredients? We listened to concerns from different industries and rural people, but there were no free riders. When you build a regime of exceptions as opposed to a regime of consistency and dependability and reliability you create a series of problems. We didn’t try to do everything overnight. We put it in place and we allowed it to happen step-by-step. I would argue that [the B.C. government] should have continued to do that. The one thing I always said when I was premier was I take my hat off to the federal government for letting us do what we felt was the best thing to do for British Columbia. CK: What words of wisdom would you offer from your political career so far? Campbell: I always think that the best thing to do is act on the basis of what you think is right, not what you think is popular. That’s what we’re fighting for when we run. You better know what you want to do, not what you want to be, and what you’re willing to lose for. You say what is the most important thing that you could do for your grandkids, and then you’re starting to think in the right timeframe.